The countdown is on until Valentine’s Day! It falls on a weekday, which sometimes makes it tricky to make plans with your Valentine. Thankfully my husband and I have adopted the tradition over the years to stay in on Valentine’s Day and make a special dinner at home. Even though we celebrate at home, I try to wear something festive for the day. 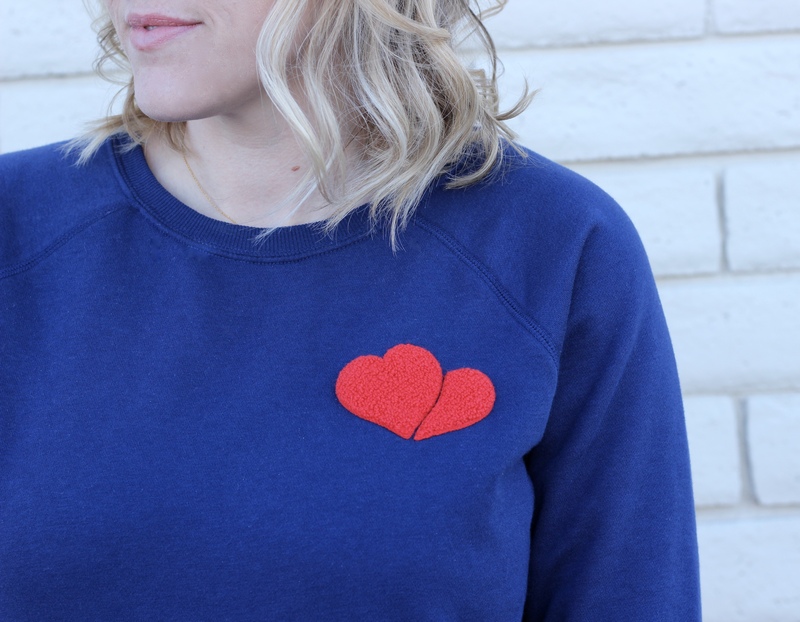 Today I am sharing 4 easy outfits to wear for Valentines Day that are super simple to put together. There’s something about lace that always feel so chic and perfect for any holiday. Throwing on a lace cami or tank with your favorite pair of black jeans or pants is such an effortless combination. Add a blazer or cardigan on top if it’s chilly where you live, and you’re set! When I think of Valentine’s Day, red is my go-to color. I’ve never been a big fan of pink, so I love to incorporate pops of red into my outfit. 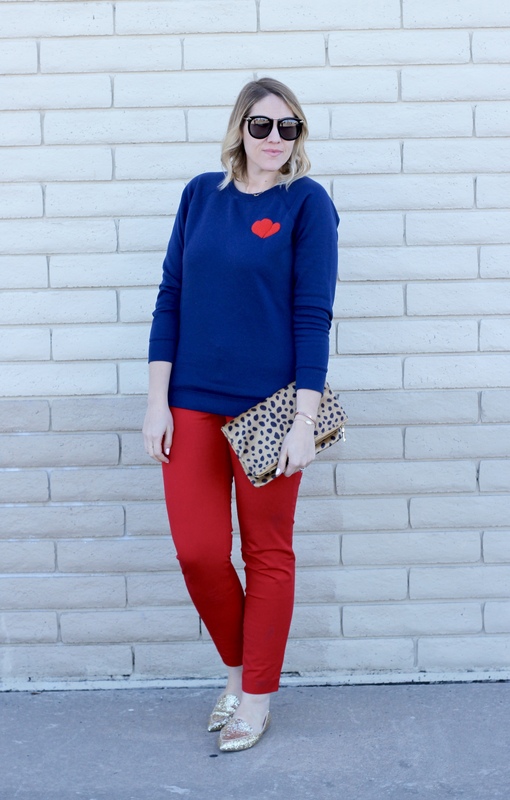 Last year I bought a pair of red Pixie pants from Old Navy that I have a feeling I’ll be wearing again this year. I went a little obvious with this outfit, but couldn’t resist pairing the pants with a graphic sweatshirt. A little black dress is a closet staple for a reason. It can be styled in a million different ways! Personally, I love keeping my LBD outfits simple and monochromatic. If it’s freezing where you are, throw on a pair of tights, leggings, or over the knee boots. I’m also a fan of adding a few gold accessories and a classic handbag to keep the look understated, yet chic. Clearly you can sense a theme by now. I am obviously all about lace, leopard, and black when it comes to special occasion style. If something works, why change it? I love wearing my faux leather leggings for a date night (out or in). They add great visual interest to an outfit, and definitely increase the hotness factor! I mean, it is Valentine’s Day after all!